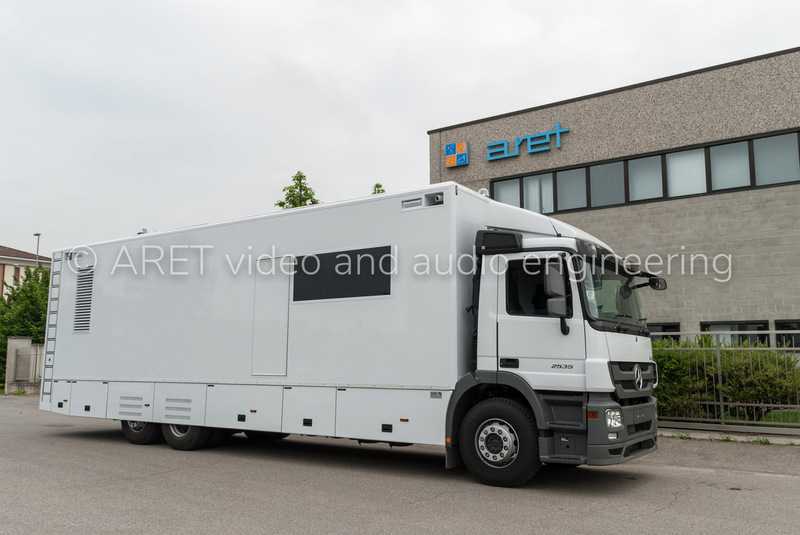 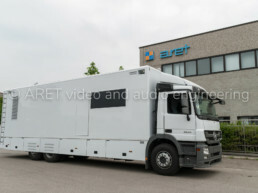 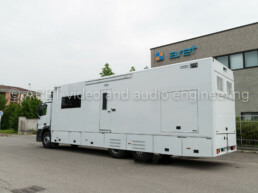 This police command vehicle has been specifically designed for border monitoring, protection and security. 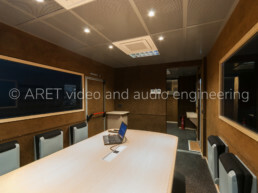 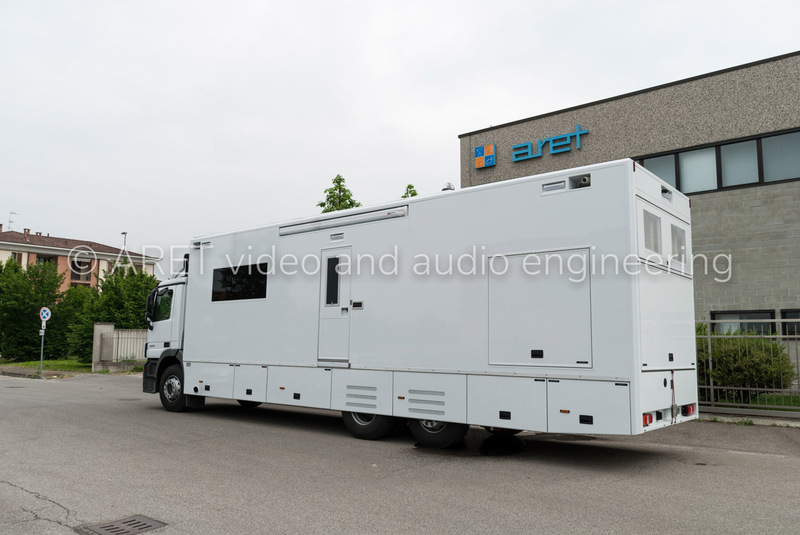 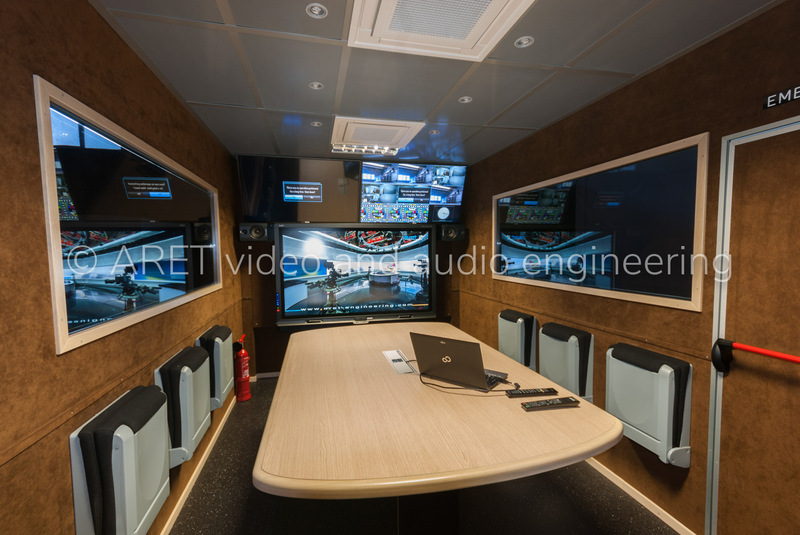 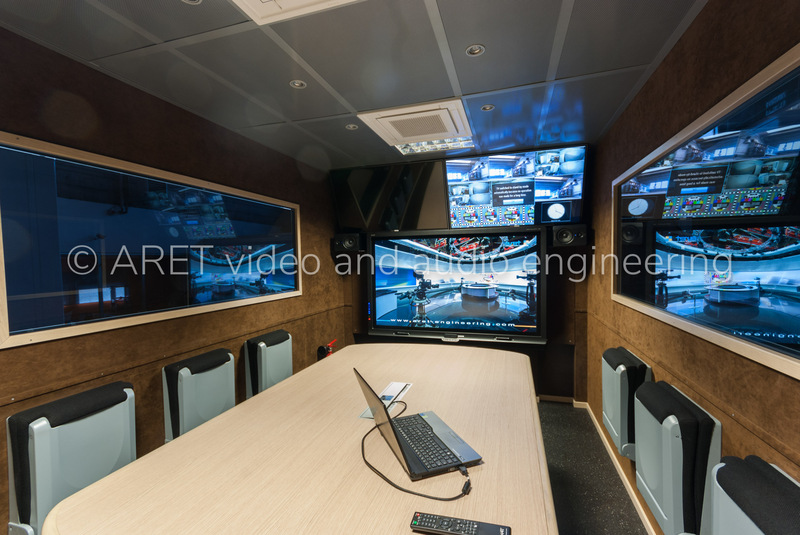 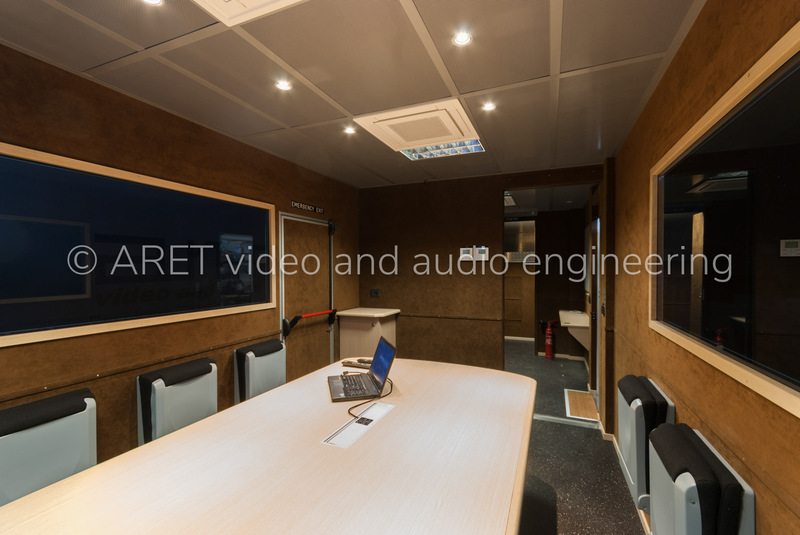 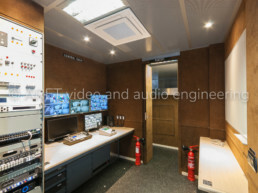 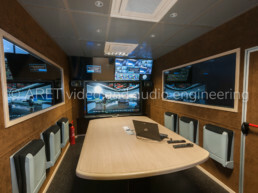 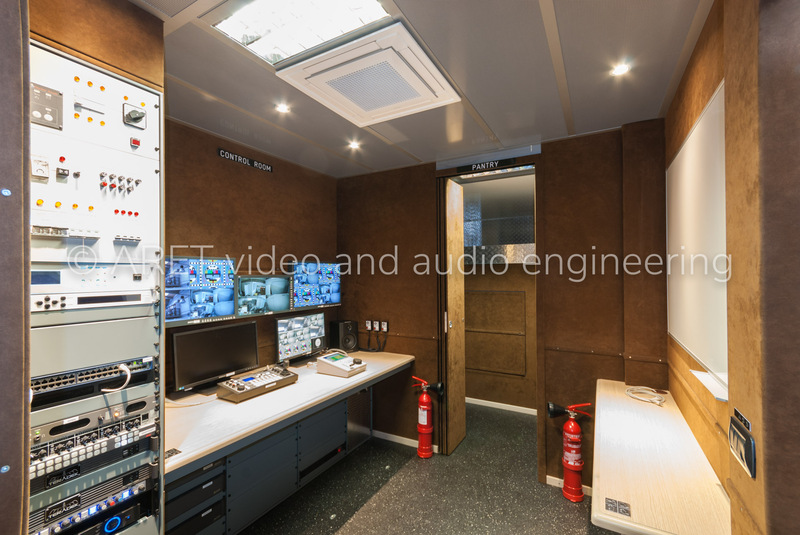 The OB Van features a wide meeting area surrounded by fold-down seats. 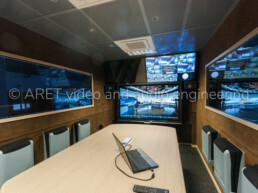 The table at the center of the room has already embedded several different types of connections for hosting live video conferences. 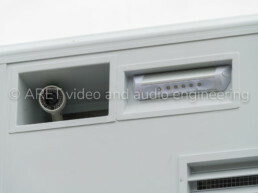 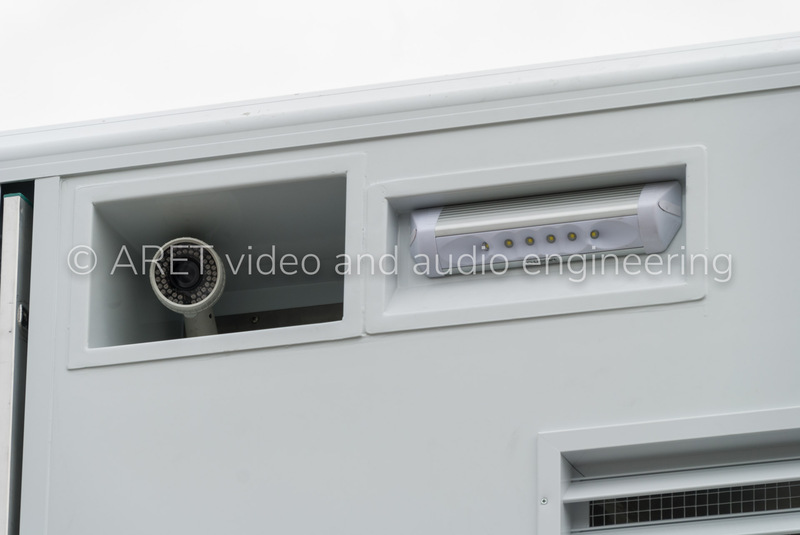 On the rooftop, there is a telescopic mast with a PTZ camera and a satellite antenna. 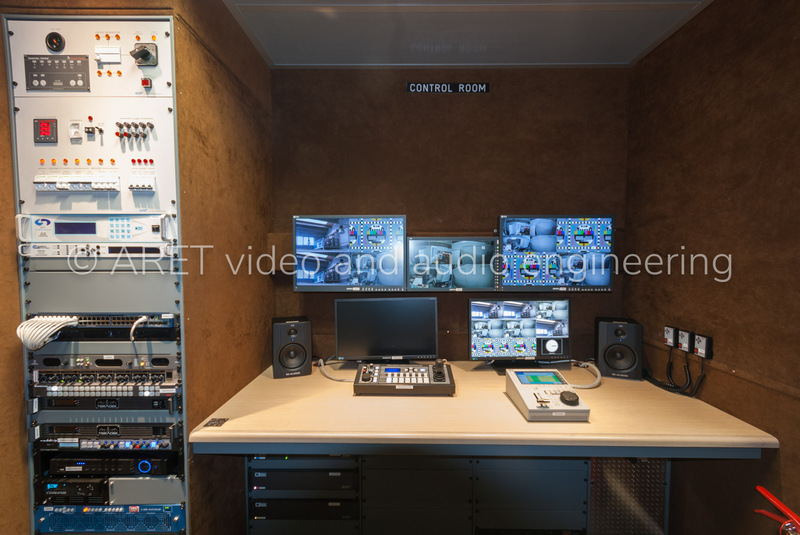 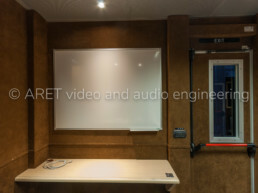 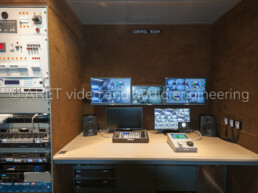 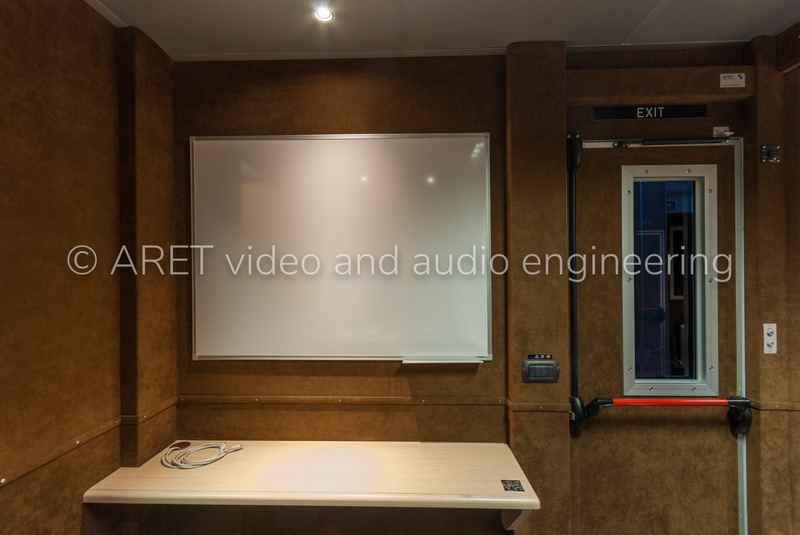 The other side of the OB Van hosts a production control area, a training area with a dedicated whiteboard and a pantry area with a locker for weapon storage.